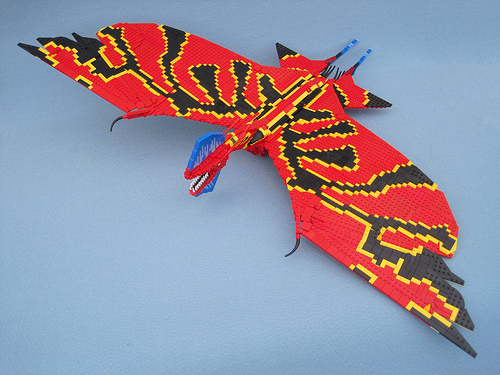 Ed Diment (Lego Monster) proves his worthiness to the Na’vi by building the Great Leonopteryx known as Toruk. Wait, do they even have Lego on Pandora? And yes, they have Lego on Pandora, I was there last week. After the movie it has become a great tourist attraction although the prices for a 2 persons bedroom are ridiculously high. There is a small Lego shop near the entrance of the tree (it’s all wooden Lego though).